The 22nd Session of FAO/WHO Regional Codex Coordinating Committee for Africa (CCAFRICA) was hosted by the government of Kenya at the Intercontinental Hotel in Nairobi, Kenya, from 16th to 20th January 2017 and was attended by at least 300 delegates from 22 Member countries. The Session was chaired by Dr. Moses Gichia, Deputy Director of the State Department of Livestock of Kenya and assisted by Dr. Calvin Onyango-Research Scientist cereal, Root and tuber crops, Kenya Industrial Research and Development Institute and Dr.George Ooko Abong’, Lecturer-University of Nairobi and the current chair of the Food Science and Technology Platform of Kenya (FoSTeP-K, IUFoST adhering body) . Dr.George Ooko Abong’ and Dr. Calvin Onyango chaired the in-session meetings on the draft regional Codex standards on Shea butter and fermented cooked cassava based products, respectively. The regional Codex standards were later commented on by the delegates and adopted as African Region Codex food standards. The International Union of Food Science and Technology (IUFoST) held an informative side event on the final day of CODEX meeting. This was besides IUFoST having organized in conjunction with FoSTeP-K a Food safety Symposium at the Laico regency Hotel. The CODEX meeting was graced by Government of Kenya officials led by The Cabinet Secretary of the Ministry of Agriculture, Livestock, Fisheries and Blue Economy, Mr. Willy Bett and Mr Adan Mohammed, Cabinet Secretary for the Ministry of Industry, Trade and Co-operatives who addressed the delegates and opened the meeting formally. The president of the Codex Alimentarius Commission (CAC), Awilo Ochieng Pernet, and the Codex Secretary also gave their remarks. The Codex Coordinating Committee for African region is currently developing Codex Food standards for dried meat, fermented cooked cassava based products, shea butter and gnetum leaves for African region to facilitate food trade and to protect the health of consumers. African region members finalized Codex Standard on Shea butter to step 5/8 (accelerated stage) while advanced the Codex standards on fermented cooked cassava products and gnetum leaves to stage 5 awaiting adoption of the Codex Alimentarius Commission. Other issues discussed during the meeting included Prevention and Control of Non-typhoidal Salmonella-Microbiological Criteria Guidelines; Processed Cheese and Ready-to-Use Therapeutic Foods; Nutrition and Foods for Special Dietary Uses (CCNFSDU) related work, namely the guideline under development for Ready- to-use Therapeutic Food; Fresh Fruits and Vegetables. Future Africa Codex food standards under consideration were noted to include a regional Codex standard on fermented non-alcoholic cereal based drinks and harmonized food law for the CCAFRICA region. African member countries noted the progress of African Codex food standards development and appreciated the good work done in organizing the 22nd CCAFRICA Codex Food standard programme and re-affirmed that the 23rd Session of the Codex Coordinating Committee for Africa be held again in Kenya in January 2019. Kenya accepted this offer after being selected for the second time to be FAO/WHO CCAFRICA coordinator. The IUFoST Codex side event took place on 20th January 2017 at the plenary section of the Intercontinental Hotel. This event featured opening remarks by Judith Meech on IUFoST as an International professional body and CODEX observer. 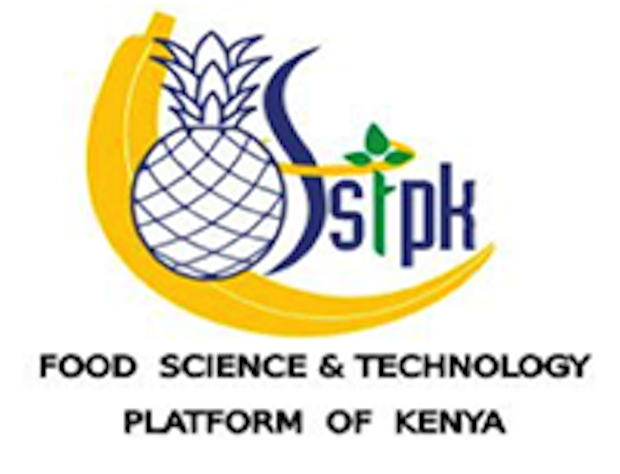 This was followed by a presentations on the role of Food Science Professional bodies in Standards Development by Hon. Prof. Ruth Oniang’o, IAFOST President and FoSTeP-K Patron and Importance of science in food standards and regulation development by Prof. Kiiyukia Ciira, of Mt. Kenya University. Dr. Gerald Moy gave an elaborate presentation on how food businesses can be shaped through codex standards, while Dr. Pamela Byrne (Chief Executive Officer, Food Safety Authority of Ireland (FSAI) presented an informative aspects of the Science of Risk Assessment and Risk Communication. The session ended with short presentation by Dr. George Abong’ on Global and regional Food Safety curriculum and a short discussion on way forward.